The Fallbach waterfall is situated in the beautiful Maltatal valley in Carinthia Southern Austria. Maltatal is known as the valley of the waterfalls and is particularly popular for ice-climbing on the frozen falls in the winter. 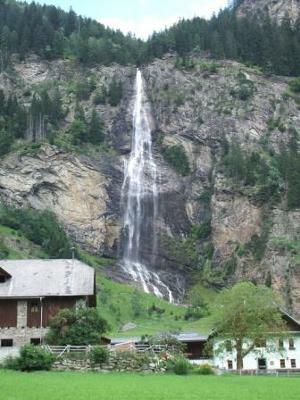 The Fallbach plunges 200m in freefall over the mountain side. It is easily visible from the road where there is a large car park. It is an easy walk to the base of the fall but you have to pay an entrance fee as there is a water games park for children there.